Let's face it, we all get tired of our handbags from time to time ... that's why we usually end up buying new ones! It's always fun to sport a new accessory, but it's not fun spending a lot of money on it. That's why we're big fans of upcycling our old handbags or thrift store finds that only cost a few bucks! 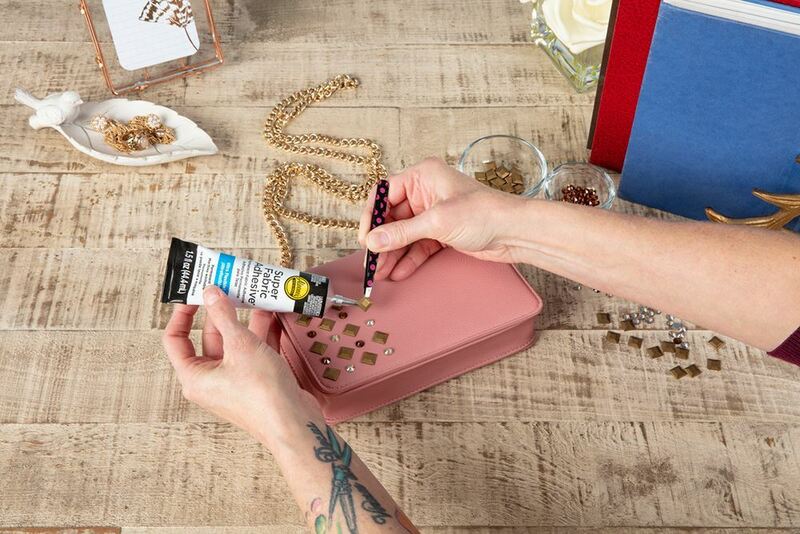 In this example we used Aleene's Super Fabric Adhesive to embellish a simple purse with gems and studs, but you could try adding any embellishment you're into, like lace, buttons, crystals and so much more! Make sure surface of purse is clean and dry. 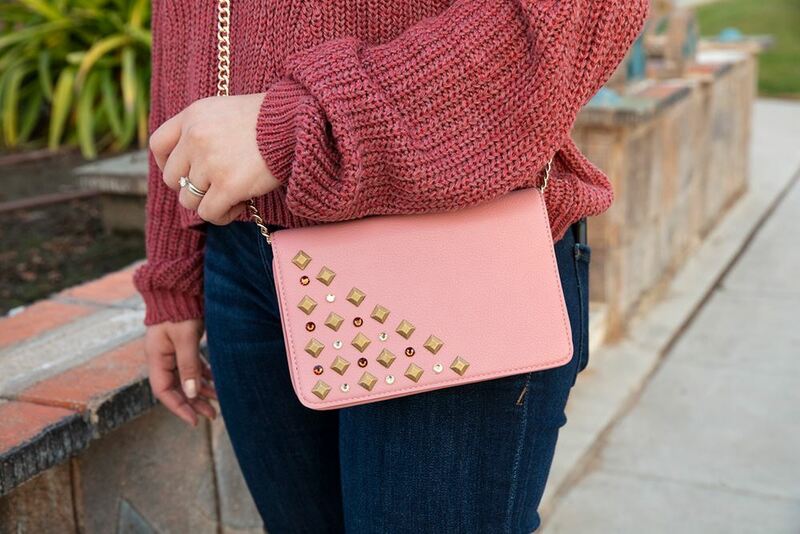 Place gems and studs on purse in desired pattern. Carefully pick up each stud/gem and place a small dot of Super Fabric Adhesive on the backside. Press back in place on purse and let dry completely. Tip: Tweezers are a great tool for helping pick up smaller items like studs and crystals. Show off your upcycled handbag while out and about!